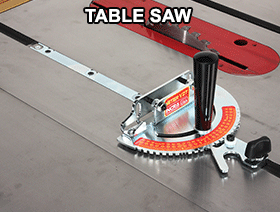 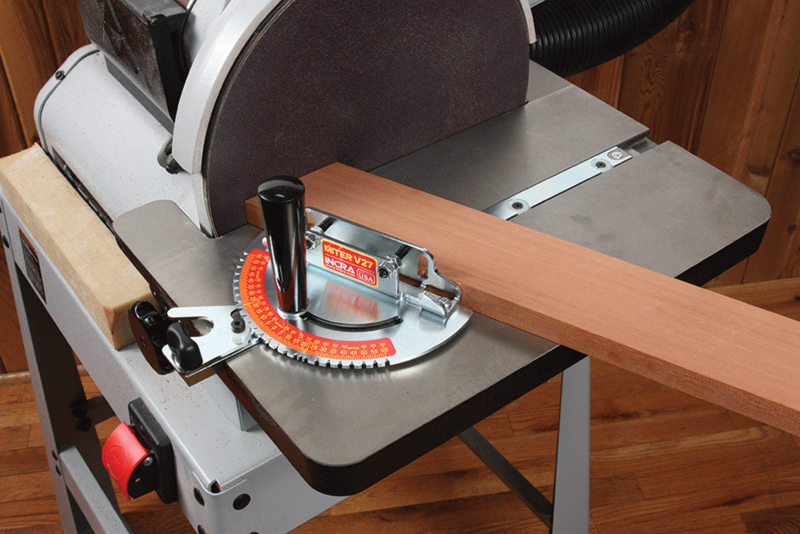 The┬ INCRA Miter V27 is engineered to provide a high performance, yet low cost upgrade for your Table Saw, Band Saw, Router Table, Disk Sander, Belt Sander or any other tool in need of a better miter gauge. 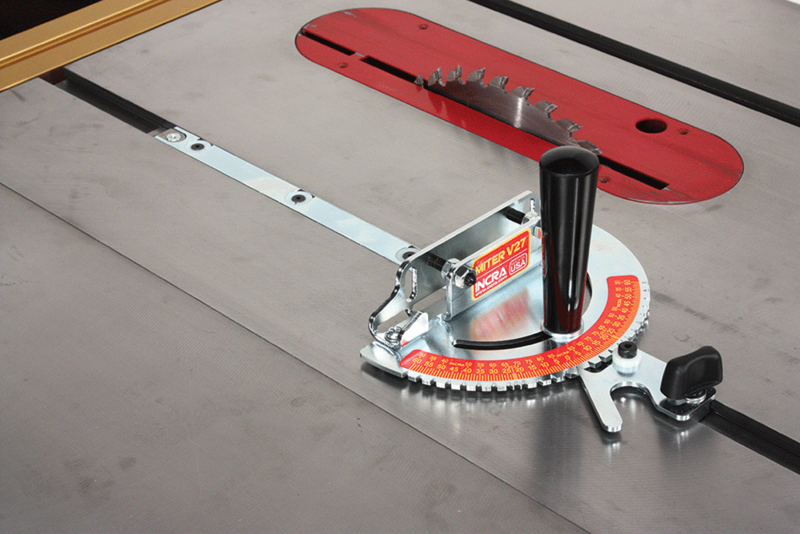 Like all INCRA Miter Gauges, the V27 delivers extreme miter cutting accuracy through the advanced combination of INCRA's exclusive AngleLOCK Indexing System and its patented Adjustable GlideLOCK Miter Bar. 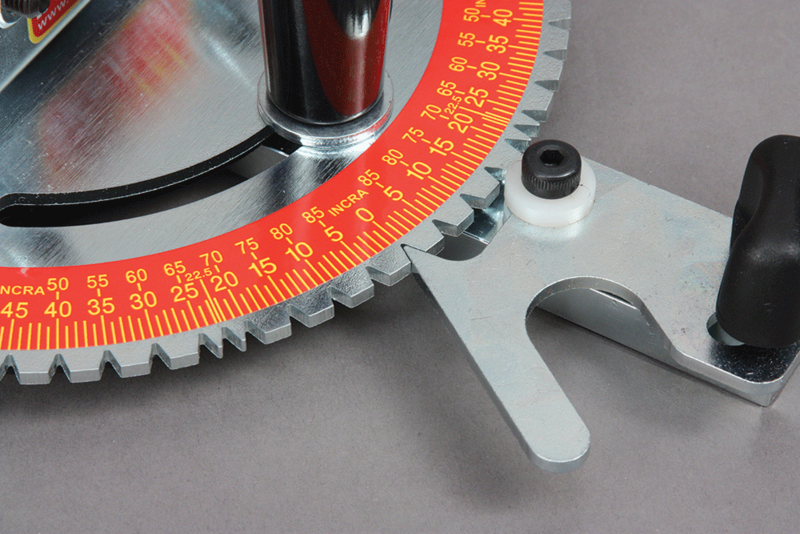 While the V27 delivers ALL of the accuracy of its bigger INCRA Miter Gauge brothers, its no-nonsense design and compact size make it the most affordable INCRA Miter Gauge EVER! 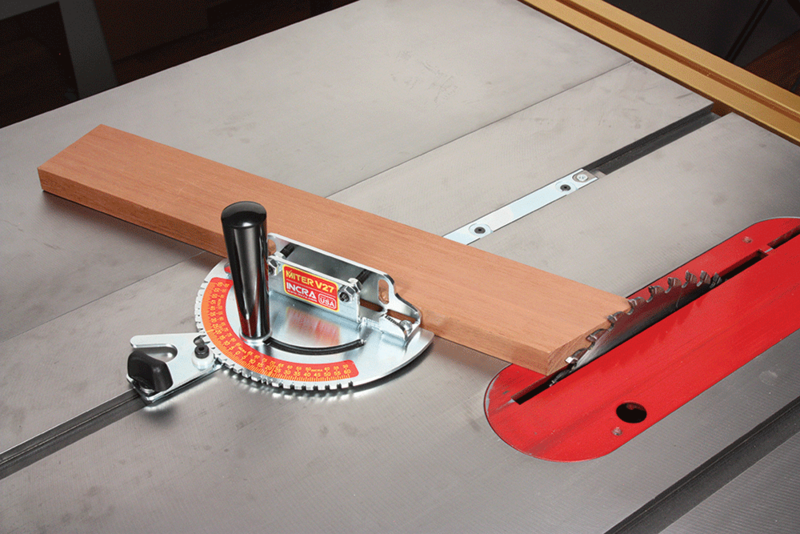 Now, the INCRA Miter V27 makes it possible to put an INCRA Miter Gauge in EVERY standard miter channel in your shop. 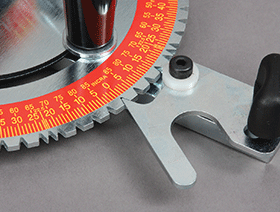 The Miter V27's compact protractor design works on applications typically not candidates for aftermarket gauges because of the narrow distance between the cutter and miter slot. 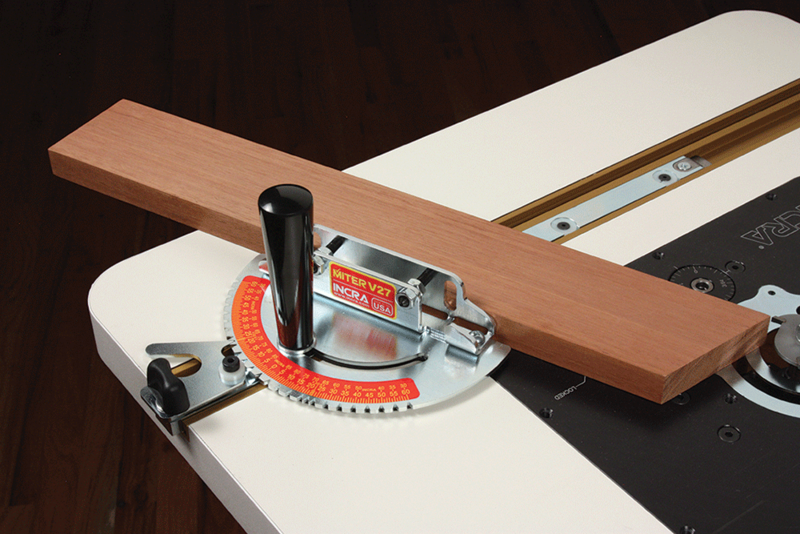 The Miter V27's adjustable miter bar will fit standard square-sided miter slots measuring 3/4" wide, 3/8" deep, and with or without a 15/16" T-slot at the bottom. 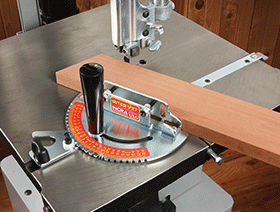 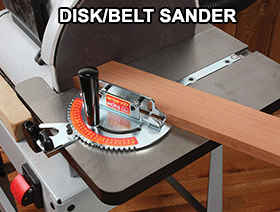 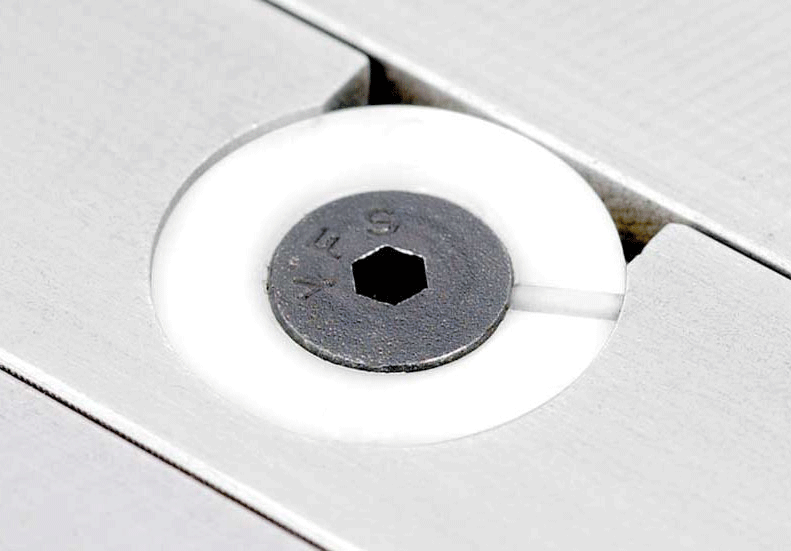 The miter bar's adjustment range accommodates actual slot widths between 0.740" and 0.760". 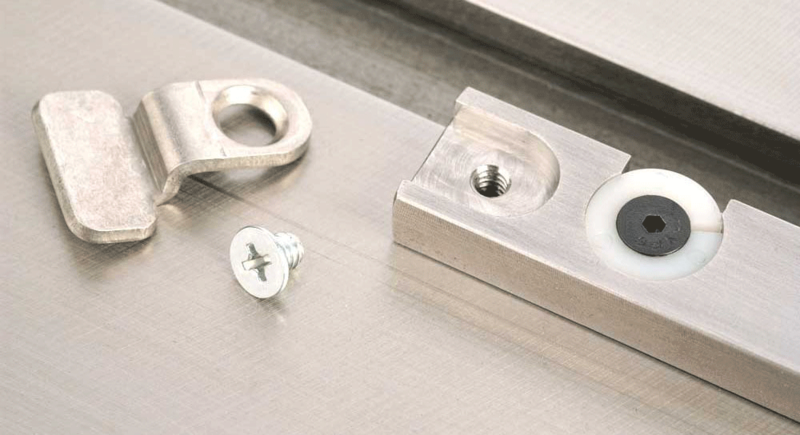 The Miter V27 Universal Mounting Bracket will support any user-made fence as well as any INCRA fence. 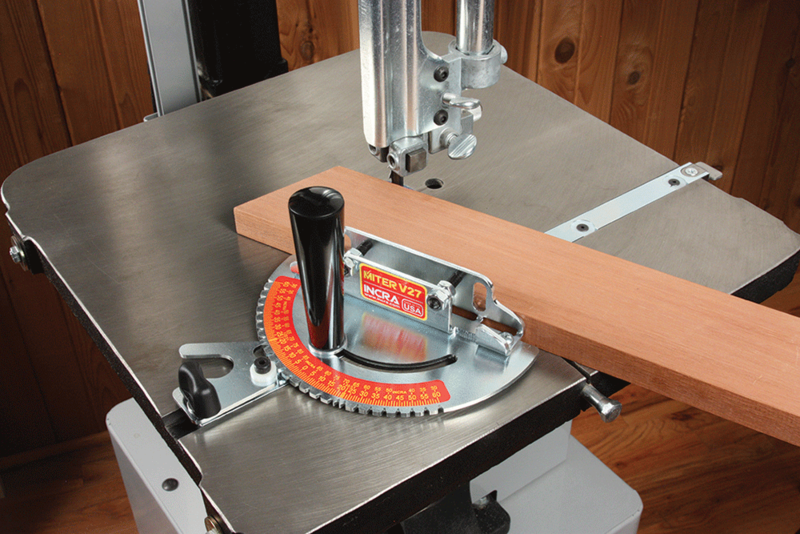 Because the Miter V27 is designed to fit in all tools with a standard 3/4" x 3/8" miter channel, the T-clip is removeable since many older or smaller tools have plain miter channels without the "T-slot". 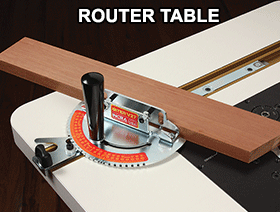 Click to download INCRA Miter V27 Manual (NEW) in PDF format. 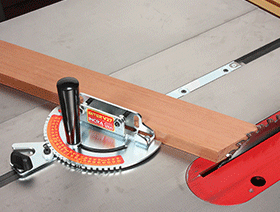 Click to download INCRA Miter V27 Video in Windows Media format.